i am a valley kid, born and raised. now, as a parent living in the valley, i wonder about my five-year old daughter and how she will be able to pursue an interest in computers, mathematics, programming, and hacking — if she so desires, of course. what my daughter doesn’t know is that, not too long ago, her dad (me) was hacking on computers not too far from where we live today as a kid. during that time, working on computers was far less trendy and romantic. i first taught myself basic on an apple 2+ then later on pascal. i was then taught turtle logo as a part of a special program at school, which while it felt a bit of a regression from basic i could see how it was a decent environment to teach others to program. for me, during that time, the motivation was to write games. now, fast-forward to today, i see my daughter use an ipad effortlessly. and, i want to make sure she has access to resources and tools to experiment with, should she be so inclined to go beyond using the apps. i’ve checked out hopscotch. there is scratch from mit. there are local groups who are providing a space for kids to explore. whatever my daughter chooses, my hope is that there’s creativity — in art, or athletics, or music….or computers. how will kids today learn how to hack? while games were my motivation (as well as breaking the security on the games in order to copy them and exchange with friends), it provided a discovery platform. there were no limits. no directions (at least from my parents). yet my friends and i would spend hours removing the copy protection and then adding a “cracked by…” as the game loaded. legos today have directions – legos when i was a kid did not. in our current environment, how do we maintain that environment of endless possibilities? in the near future, i believe everyone will need to be able to program – much like learning another language. obviously, there will variations of the depth of this learning – but the ability to apply logic/reason and assemble a set of commands/functions to perform an activity is great on many levels. my daughter was also an inspiration for me to initiate the women in engineering effort while i was at twitter – which has been amazing to see grow and flourish with each passing month. so awesome! we need to get more women in computer science and math – so i am at least going to expose my daughter to what can be done – if she so choses that path. ironically for me – because i spent so much of my childhood on a computer i rebelled in high school a bit and wanted to check out biochemsitry/molecular biology. but over time….returned to my roots and frankly i was better at programming than primary research. 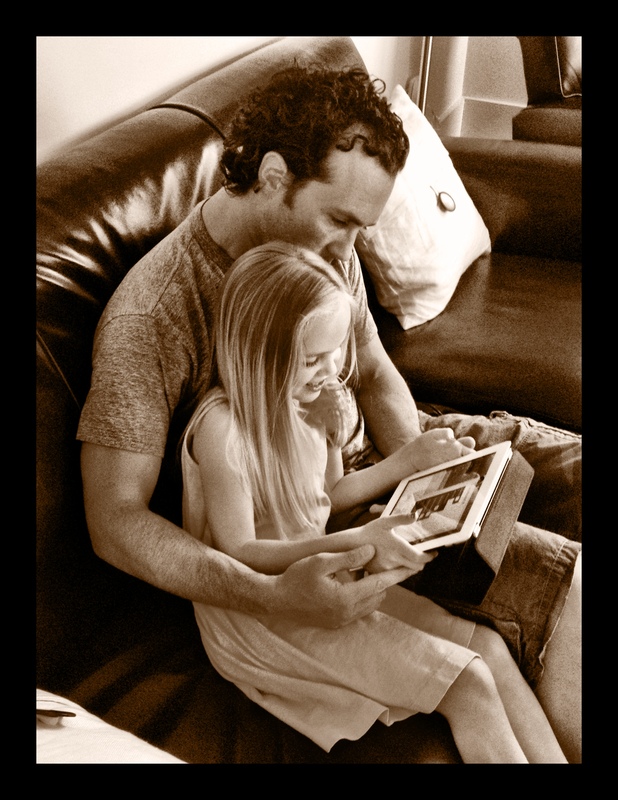 the current app that i am working with olivia on an ipad with is hopscotch – http://www.gethopscotch.com – she loves the idea of building her own game. and, as she gets older, i’ve heard of slightly older kids messing around with raspberry pi projects. and, there’s this whole subculture of kids playing minecraft and hacking those games to bend to their tastes. i’m curious, if you have young kids, how do you seem them interacting with computers, and what sites, programs, resources, or groups have you seen? what are folks doing with raspberry pi and minecraft? i’m eager to connect with folks who are interested in this and to learn more, and of course, to help come up with more and more creative ways for the youth in the area to be exposed to this new language.